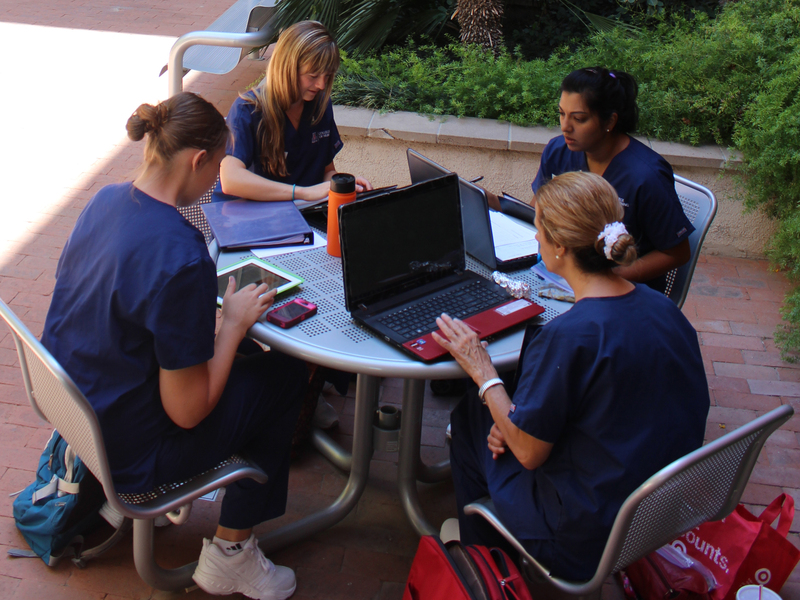 The University of Arizona College of Nursing is one of only 28 schools of nursing nationwide to receive a grant to increase the number of nurses holding PhDs. Through the prestigious Robert Wood Johnson Foundation Future of Nursing Scholars program, two UA nursing students who commit to earn their PhD in three years will be provided with financial support, mentoring, and leadership development. The Future of Nursing Scholars program is a multi-funder initiative. In addition to RWJF, Johnson & Johnson, Northwell Health, Cincinnati Children’s Hospital Medical Center, Sharp HealthCare, Rush University Medical Center, Care Institute Group, and Memorial Sloan Kettering Cancer Center are supporting the Future of Nursing Scholars grants this year. The UA College of Nursing is receiving its grant from the Robert Wood Johnson Foundation. After final selection of scholars in March, two UA nursing students will begin the Future of Nursing Scholars program this summer and their PhD studies this fall.